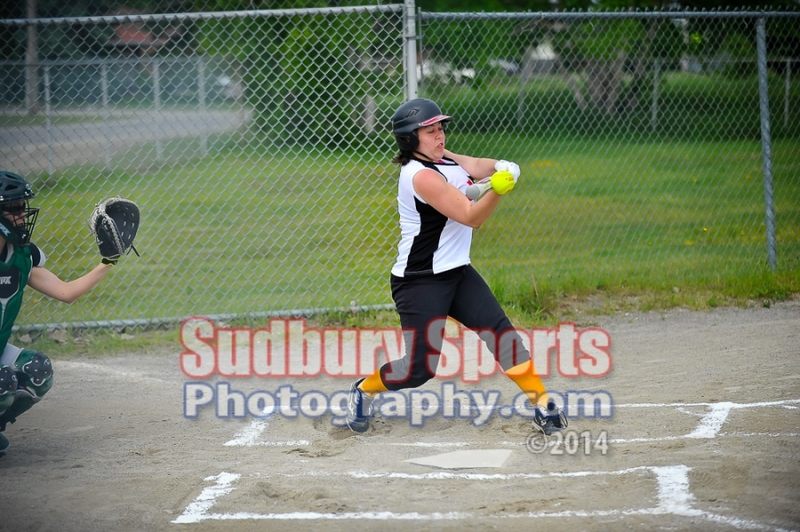 On the weekend of June 14th, 2014, the Sudbury Girls and Ladies Fastpitch Softball Association held their annual Spring Classic Tournament. On Sunday, I photographed the ladies division championship game between my daughters’ team, MacLean Engineering, and the Rough Riders. A few of the those photos are shown below, but the complete set can be viewed here. 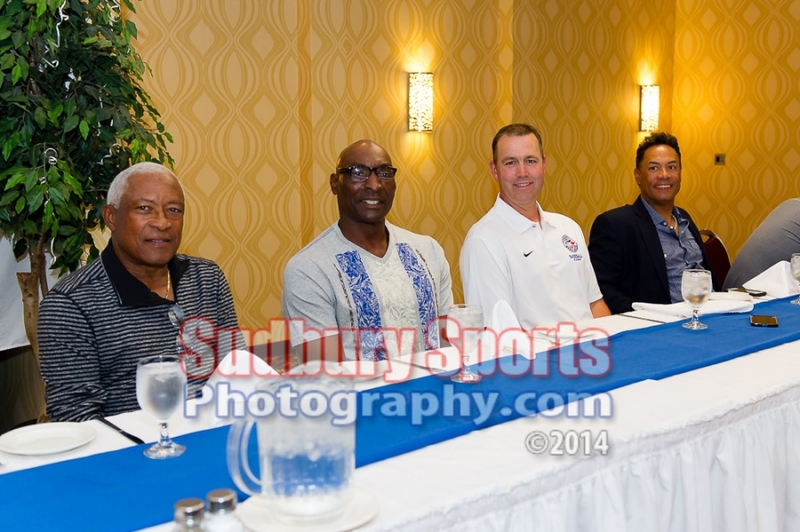 Sandy Alomar Sr., Lloyd Moseby, Denis Boucher and Hall of Fame Blue Jays second baseman, Robbie Alomar, were the guests of honor at The Baseball Academy‘s Field of Dreams dinner and silent auction, June 21/14, in Sudbury, ON. Earlier in the day they also ran a Toronto Blue Jays Honda Super Camp for young ball players at the Terry Fox Sports Complex also in Sudbury. The full set of photos and some video from both events will be posted here sometime over the next few days, so stay tuned to my blog, Facebook page and Twitter feed to find out the moment they are ready for viewing. 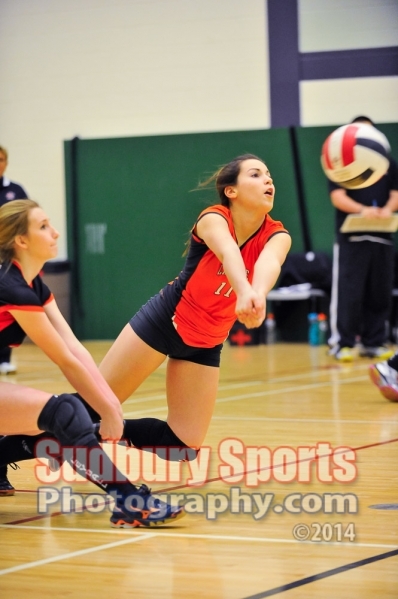 The 2014 SDSSAA junior girls volleyball season came to an end Friday evening with the Lo-Ellen Park Knights defeating the Lasalle Lancers 3-1 in the city championship game. It was a well played game, with a ton of action. 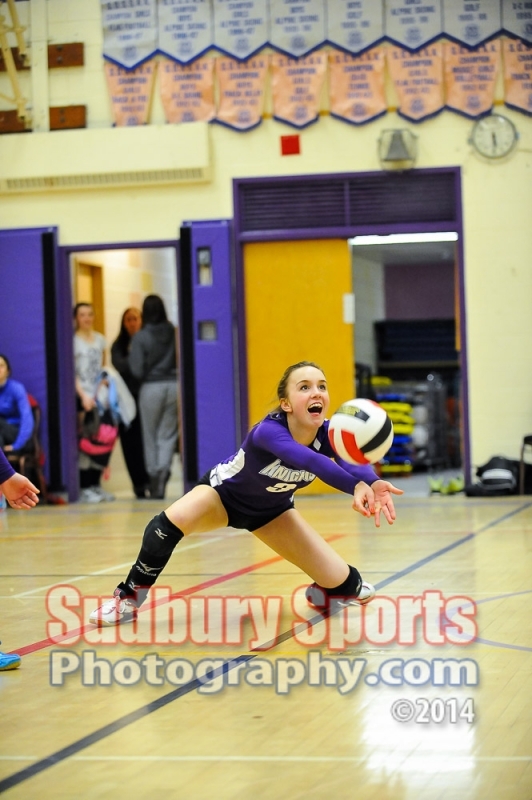 A full set of game photos can be viewed by clicking here. 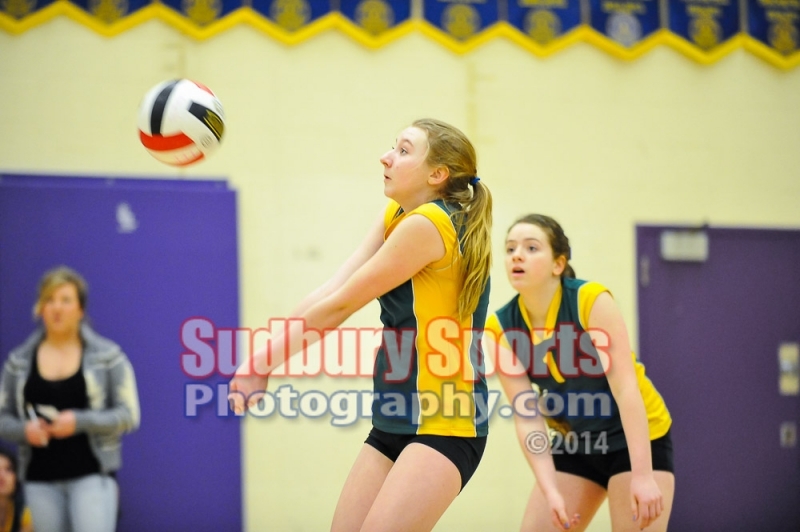 Tonight the Lo-Ellen Knights junior girls volleyball team hosted the Confederation Chargers. Lo-Ellen emerged victorious winning 3-0. A few of the action photos from this matchup can be seen below. View all the game photos by visiting the game gallery here. Last night I decided to up my game a bit and take a stab at shooting some Ontario University Athletics (OUA) mens hockey action here at the Countryside Arena (the Gerry McCrory Countryside Sports Complex). This game featured the hometown Laurentian Voyageurs hosting the Concordia Stingers. 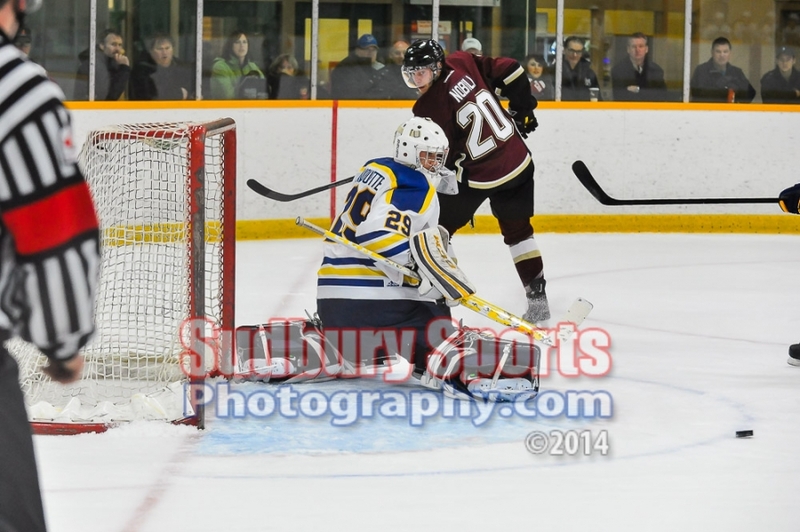 The spirited affair was eventually won by Concordia, 6-2, who outshot the Vees 38-32. A small sample of the game’s action can be seen below, but all game photos from the first two periods can be viewed by clicking HERE.